First, let me start off that I am predisposed to like this book. I have read Jay Hosler's other comics, including The Sandwalk Adventures and Clan Apis. Additionally, I met Jay at the Sequential SmArt conference at Juniata College a couple of years ago, and got a chance to hang out, chat, and socialize with him. I even got to eat ice cream at his house afterward with a group of other folks. All this is to say that I know him a lot better than I know the typical writer/artist featured on my blog. I should also reiterate that I love his comics. They are smart, funny, and a joy to read. This book, a sequel to The Stuff of Life, continues the narrative where scientist Bloort-183 is trying to explain life on Earth to an alien king. Their species is threatened by a disease and they think that examining life on Earth will help them find a solution. So Bloort-183 continues from speaking about DNA to talking about evolution. And whereas the first book was more a report, this one is pitched more as a presentation being made to the king and young prince. And because the latter has not really done his homework, he asks lots of clarification questions, which makes this entire enterprise much more readable and approachable. There are still some dense parts where lots of concepts and vocabulary are explained, but I think this book works overall in terms of being accessible than the first, mostly because it is pitched much more conversationally. Basically, it is Jay Hosler giving a series of funny, smart lectures via images. The two Cannons are well known for their anthology Double Barrel, with Kevin's narrative Crater XV and Zander's Heck. 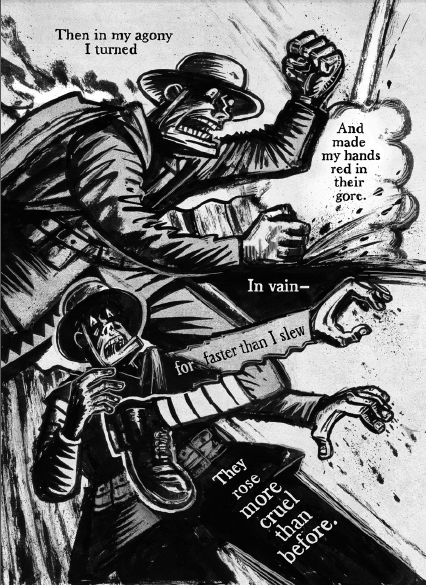 They also collaborated on the science-themed graphic novels T-Minus and Bone-Sharps, Cowboys, & Thunder Lizards. Hosler is an accomplished science writer, having already published a number of other graphic novels about biology, including the aforementioned The Sandwalk Adventures and Clan Apis as well as Optical Allusions. He talks about his work on these books in this interview. The reviews I have read about this book have been rather glowing. Kirkus Reviews wrote, "the book may not win over science-phobic readers, but it’s a solid introduction," suggesting it for "adults who want a refresher and high-school teachers searching for a simple primer." 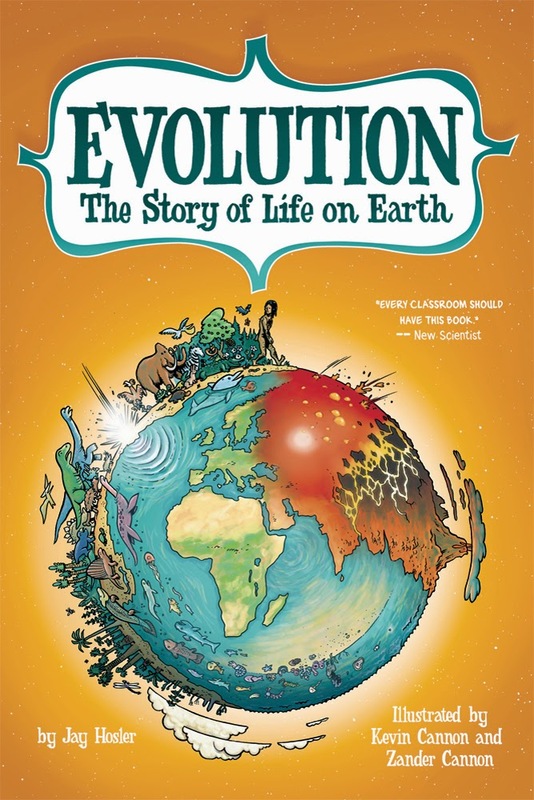 Educator Scott Hatfield concluded, "Its engaging characters, informed content, and clever illustrations make this book an excellent selection for anyone, young or old, interested in learning more about evolution." Publishers Weekly stated that by the end of the book readers will find "that they've learned a tremendous amount about earth's evolution, and have had more than their fair share of amusement in doing so." Evolution: The Story of Life on Earth was published by Hill and Wang, and they provide a preview and more here. This year's Life of the Mind book for incoming first-year students (formerly called freshmen) at The University of Tennessee, Knoxville is Daytripper. It is the first time a graphic novel has been selected for this reading, selected to go with the general theme of Creativity for the year. In a horrible twist of fate, for the first time in six years I did not get to be a discussion leader for this book, even though it was a graphic novel, and by now you have surely realized I am very much interested in teaching with and talking about them. Instead I was in The Hague for a conference presentation. Ah well, timing, right? In any case, I did have a part in the initial assignment incoming students had to do and also in trying to demystify reading a graphic novel for first-time readers. If you are interested in hearing what I sound like, you can find an introductory video for this book where I go through the basic mechanics of reading comics here. In any case, this book was originally published as individual comic books, and it won the Eisner Award for Best Limited Series. Its plot follows Bras de Olivias Dominguez, an aspiring author who writes newspaper obituaries. He is described as a "miracle baby" who was born under unusual and difficult circumstances. His father is an internationally acclaimed and awarded novelist who casts a large shadow. We get to see multiple moments in Bras's life, and each chapter is set at a different age, and in magic realistic fashion, at the end of each chapter Bras meets an untimely (and often surprising) end. Unlike the multiple deaths of Kenny, these events only highlight the themes of life and love in the main narrative. This book could easily be described as nostalgic or melodramatic, but I think that its emotional nuances and fantastic artwork raise it beyond treacly sentimentalism. It is a beautiful and evocative book, full of relatable moments and fantastic imagery. It hits on multiple ages, as well, and there is something in here that speaks to the innocence and realizations of childhood, the trials and tribulations of romantic relationships, the worries and joys of parenthood, and the awareness and (hopefully) acceptance that comes with old age. 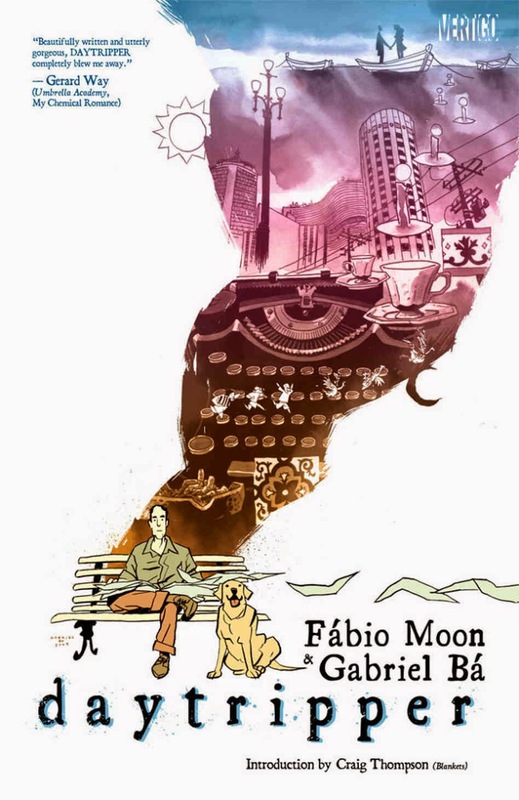 This book's creators, Fábio Moon and Gabriel Bá are twin brothers who have been making comics together since childhood. Moon is probably best known for his collaboration with writer Matt Fraction, Casanova, a science fiction spy story, and his Eisner Award winning webcomic Sugarshock. Bá also collaborated on Casanova and is well known for drawing The Umbrella Academy, a celebrated tale of super-powered siblings written by rocker Gerard Way. The brothers collectively blog about their works here. 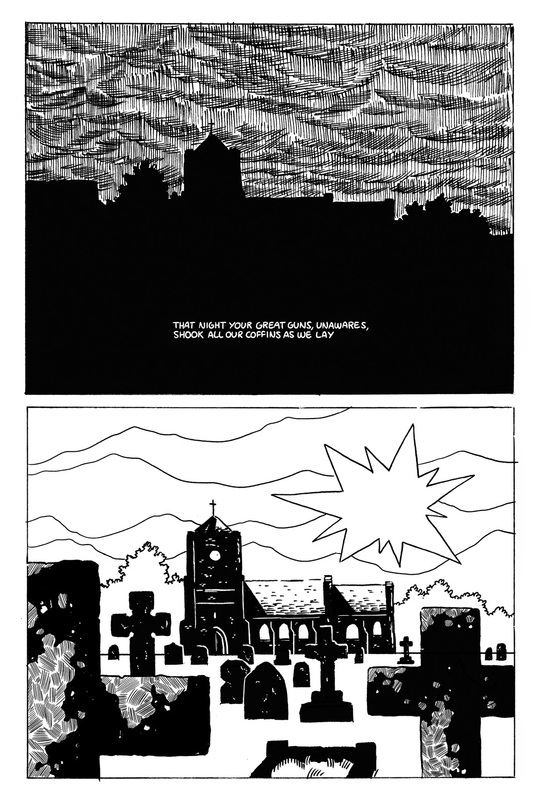 As might be expected from an award-winning graphic novel, its reviews are excellent. 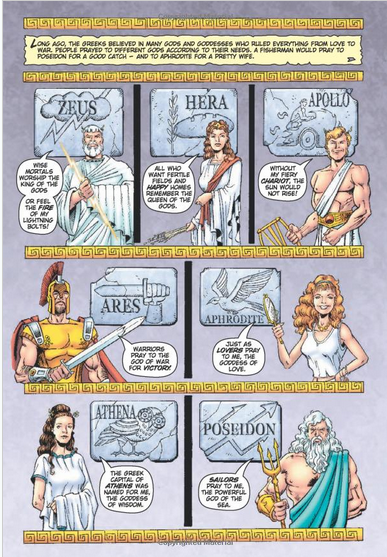 The Comics Alliance's Chris Murphy called it "one of those books we should set aside specific adjectives for, to be used only when a book this incredible is created." NPR's Glen Weldon summed up that it "invites repeated, even recursive reading, as elements in early chapters find themselves echoed or entirely inverted as the book comes to a close. It's a book with the subtle intelligence to deal with death in a way that affirms, and delineates, life." 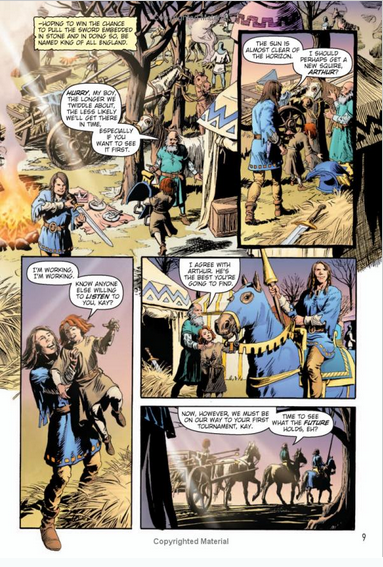 comicrevolution wrote that it consisted of "magnificent storytelling and artwork that is equally stellar." 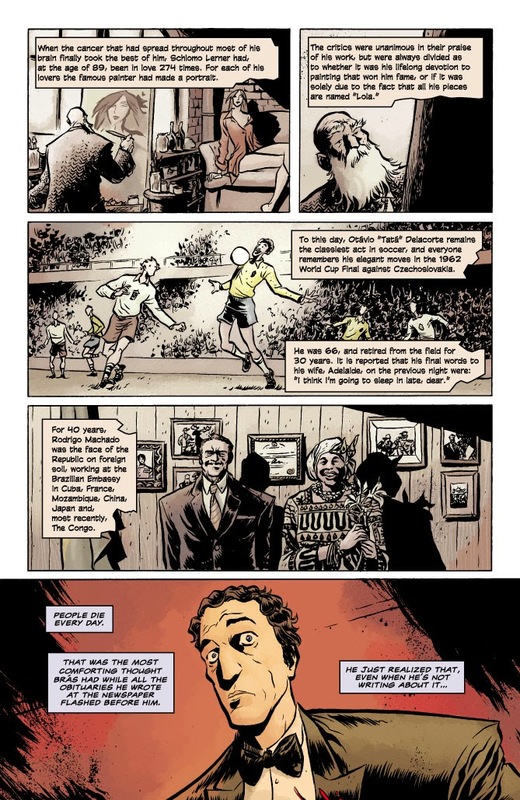 Daytripper was published by Vertigo. 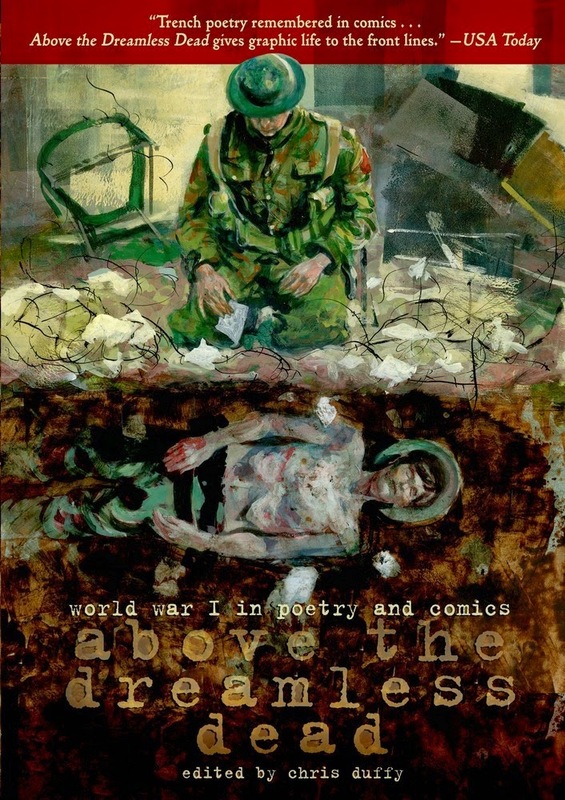 Above the Dreamless Dead was published to commemorate the 100 year anniversary of the start of World War I. It contains a multitude of Trench Poetry by a long list of poets: Rupert Brooke, Wilfrid Wilson Gibson, Robert Graves, Thomas Hardy, Rudyard Kipling, Francis Edward Ledwidge, Patrick Macgill, Wilfred Owen, Issac Rosenberg, Siegfried Sassoon, Osbert Sitwell, Charles Sorley and Edward Thomas. These poems capture high art, the horrors of war, and also some of the profane responses from a number of soldiers. Very helpfully, the back matter of the book gives more information about their individual lives as well as a separate section that describes the context of their poems. The poets are paired with a number of equally diverse and talented artists, including Hannah Berry, Stephen R. Bissette, Eddie Campbell, Lilli Carre, Liesbeth De Stercke, Hunt Emerson, Garth Ennis, Simon Gane, Sarah Glidden, Isabel Greenberg, Sammy Harkham, David Hitchcock, Kevin Huizenga, Kathryn Immonen, Stuart Immonen, Peter Kuper, James Lloyd, Pat Mills, Anders Nilsen, Danica Novgorodoff, Luke Pearson, George Pratt, Carol Tyler and Phil Winslade. The poem adaptations are split into three sections: The Call to War, In the Trenches, and Aftermath. 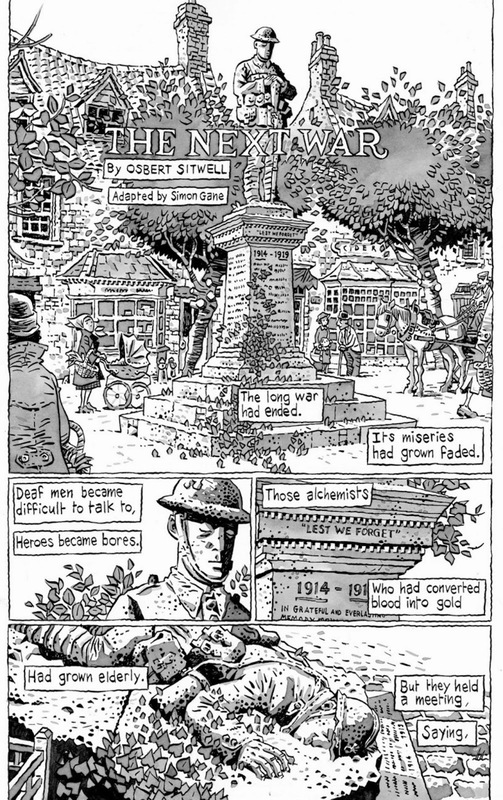 From Thomas Hardy and Luke Pearson's "Channel Firing"
From Isaac Rosenberg and Peter Kuper's "The Immortals"
From Osbert Sitwell and Simon Gane's "The Next War"
The results are a wide range of powerful and provocative images. I really like the use of black and white to highlight the dark lines and contrasts, as well as the alternations between realistic and cartoony styles. These poems do not shy away from grim realities, loss of faith, or any type of politeness. The Great War, with its bloody and brutal combat, stripped away a lot of veneer and nicety of society and left those who fought it reeling and forever changed. 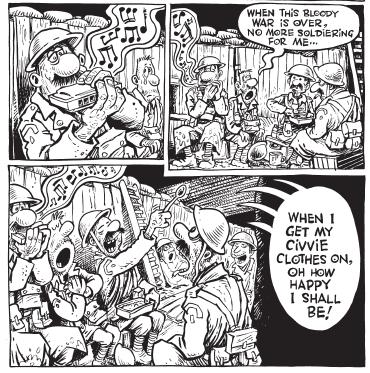 Those are the kinds of sensibilities exposed throughout this volume, with some interspersed bursts of raunchy humor contained in the war songs that lighten matters up. This is one of the tamer parts of the songs. I would not say this is a book for young students, but it is a record of the time and a compilation of many works that would be excellent for high school students to contend with. Chris Duffy edited this literary volume of comics. He also edited Fairy Tale Comics, one of my favorite books for younger readers. Duffy is a veteran in the field who edited Nickolodeon Comics for 13 years, as well as the Bizarro Comics anthology for DC Comics and Spongebob Squarepants comics for Bongo Comics. All I have read about this book contains great praise. In a starred review Publishers Weekly wrote that "the real strength of the anthology comes both from the poems selected for it and the variety of visual approaches." Paul Gravett remarked that it provided great evidence that "the marriage of poetry and comics is a deeply fruitful combination." Rob McMonigal recounted his favorite entries from the book and concluded that it was "a great anthology series and well worth picking up." Above the Dreamless Dead was published by First Second, and they provide a preview and much more here. And a great, big thank you to Gina for the review copy! As you might could tell from my reviews over the years, I really like Ed Brubaker's comics. His multiple collaborations with Sean Phillips, Sleeper, Criminal, Incognito, and Fatale, are among my favorite comics ever. I am also a big fan of his superhero work, particularly his runs on Catwoman, Iron Fist, and Captain America. On that latter title, he did the impossible (to me at least), and brought back the character Bucky in an interesting and provocative way. 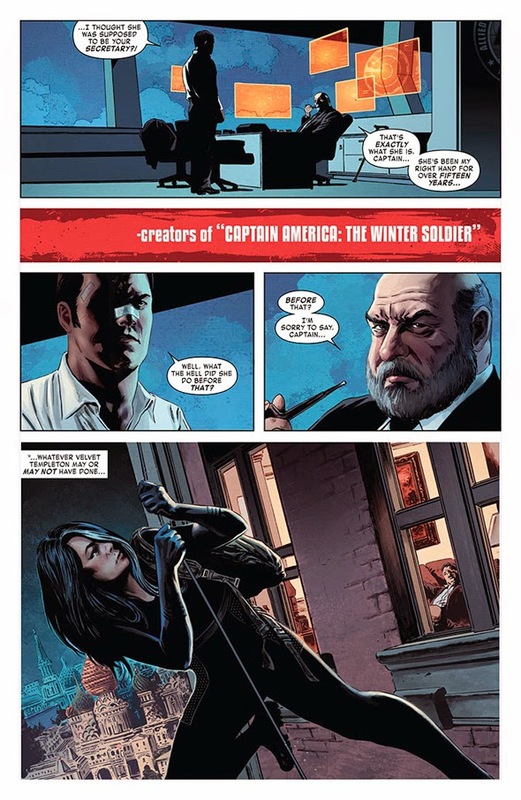 Looking at his credits, Brubaker gravitates toward certain artists as collaborators, and in this series he pairs up again with his main Captain America/Winter Soldier partner, Steve Epting. Epting is a comics veteran who has consistently been working since the 1990s. His artwork in this volume is crisp, clean, and very cinematic, a blend of photo realism and technicolor. It reminds me of a contemporary version of Paul Gulacy, whose classic runs on Master of Kung Fu and Sabre are seminal. 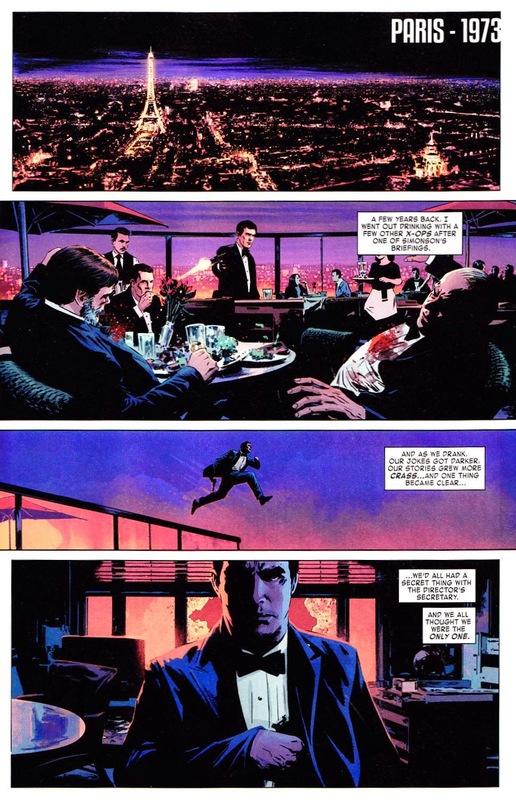 Also, Elizabeth Breitweiser's coloring is exceptional. There are many pages and images that I felt could have been HD movie cels, they are that vibrant and deep. 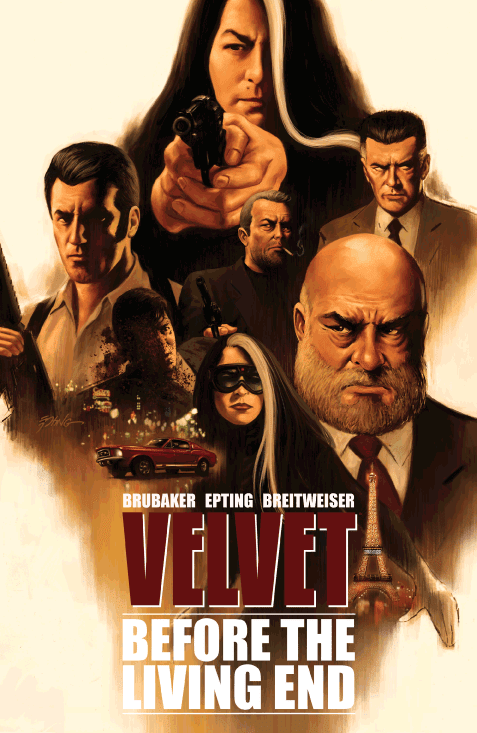 The concept of Velvet is somewhat simple, a recasting of a James Bond-like spy thriller. Only instead of Bond being the protagonist, it is Ms. Moneypenny who is revealed to be the ultimate spy. Hiding in plain sight as a secretary of the director of a secret intelligence agency, Velvet Templeton knows where all the bodies are buried and when all the covert operations went down. What is more, she is highly trained as an agent and a combatant. I don't want to reveal too much about the plot, but I will say that it involves a mole in the agency, a plot to frame our heroine, and her having to go on the lam to survive and also get to the bottom of things. There are lots of twists, turns, and revelations to keep the suspense and thrills coming. Reviews of this book I have read have been glowing. Andy Wolverton wrote that it "is filled with such wonderful scenes in a story arc that makes us think that we’ve just scratched the surface of something that could very well be not just good, but great." Joe Gordon remarked on the excellent characterization of Velvet, "Like Emma Peel she’s confident and powerful and while attractive she’s no mere object for the Male Gaze – you’re likely to find Velvet staring right back at you (and more than likely calculating how she can use your attentions and desires to her own ends. She is in charge here.)." The reviewer at The Telltale Mind wrote that "this book grabs you and refuses to let go" and added that "the second volume of this book cannot come fast enough." 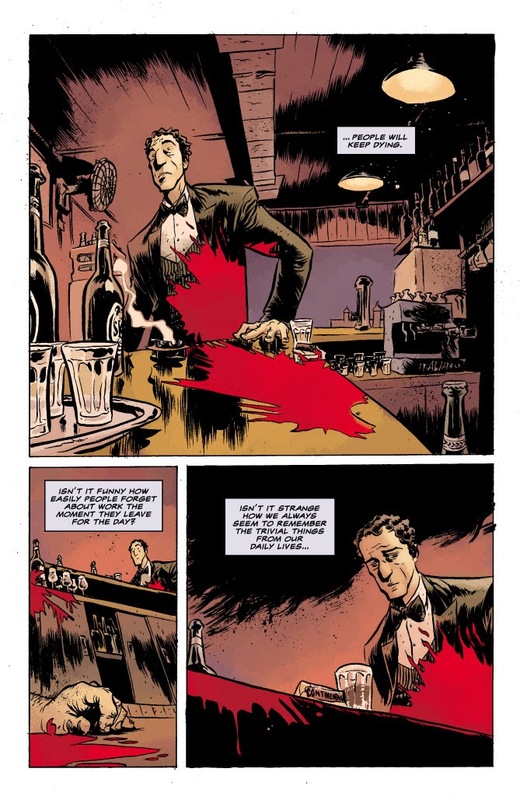 Velvet, Volume 1: Before the Living End was published by Image Comics, who provide lots of information and links here. Today's look at Lerner Publishing's Graphic Universe books features a couple written by Jeff Limke. 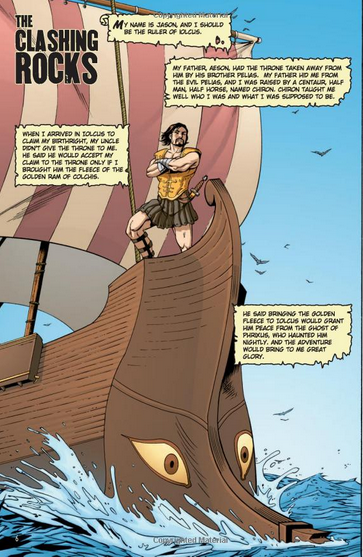 He is an educator who has written many comics, and he seems to specialize in historical myths and fantasy stories. 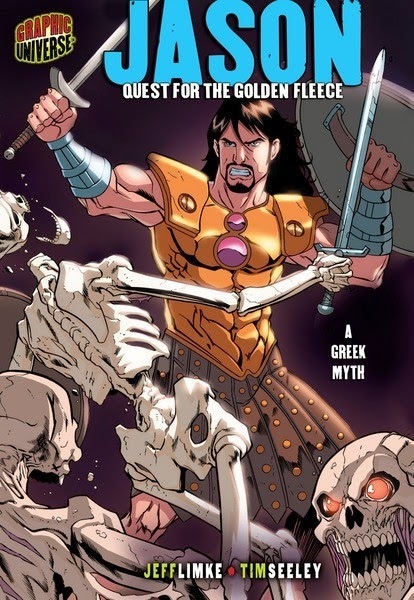 Jason: Quest for the Golden Fleece is sort of like the Greek myth version of The Expendables, with a band of Greek heroes, including Heracles and the twins, Castor and Pollux, led by Jason on a series of adventures. In terms of this story, both brute strength and intelligence are necessary elements. I also have to say to those who are familiar with this story that the characters here are more clever than duplicitous (there are a bunch of double crossers in the versions I remember). On the plus side, the story has all kinds of great action/adventure elements, with Jason contending against fire-breathing bulls, skeleton warriors, and even a dragon. I liked the energy and pacing in this story. The artwork, by Tim Seeley, co-creator of Hack/Slash and Revival, was crisp and very enticing. He also draws great monsters and attractive human beings in a dynamic style, which is very well suited to this particular narrative. If I had a quibble with this book, it is with the ending, which has Medea tossing her kid brother into the ocean rather than cutting him up into little bits and a happy scene with Jason and Medea pledging their love to each other. I get that this book is geared toward younger readers, but I did blanch a little that the gory details and abject state of affairs Jason finally fell into were omitted. 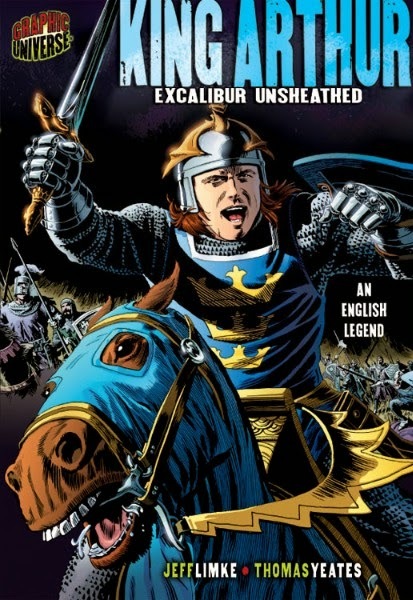 This second book, King Arthur: Excalibur Unsheathed, is an excellent introduction for younger readers into the world of Arthurian legends. Adapted from Sir Thomas Malory's Le Morte D'Arthur, this book recounts tales of King Arthur from his youth, from his pulling the legendary sword from the stone, to his struggles to assert his rule as a young king. He vies with King Pellinore (who will later be his ally), meets Lady Guinevere (who will later be his wife), and adventures with Merlin as he seeks his birthright and a new sword. These are fun, exciting, and extremely well rendered episodes in the time before Arthur grew his beard and came to more complicated and treacherous affairs. Like the Jason book above, the narrative ends before the grim parts of these heroes' lives. Also like the Jason volume, the highlight (not to detract from the good story) is the artwork, here by Thomas Yeates, a very respected comics veteran. His style is intricate, realistic, and somewhat soft, smacking of his influences, Hal Foster, N.C. Wyeth, and Wally Wood. So, to sum up today's books. 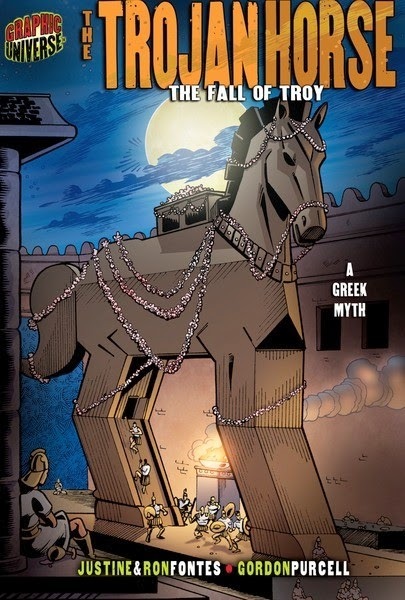 They both have well presented stories, excellent artwork, and I recommend them as introductions into the world of myth and legend. I think they would both be popular with upper elementary readers who like action and adventure tales especially. I have reviewed a few titles from The Graphic Universe imprint before, and they make nice, affordable products that are available both in sturdy hardcover and economical softcover. They also offer e-versions of these books. This week, I am going to look at a few more of their offerings. The writers for today's books are Justine and Ron Fontes, a wife and husband who have written more than 500 books together. 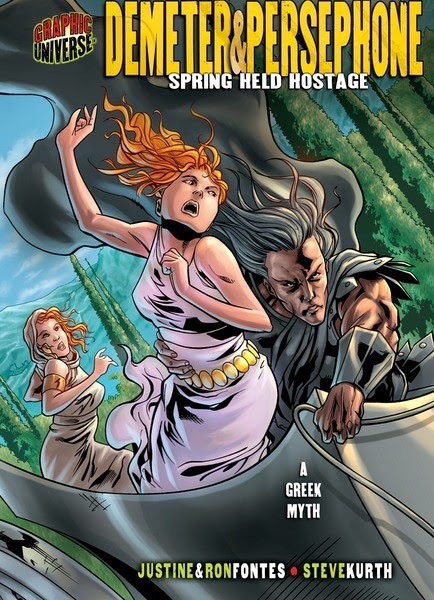 Demeter and Persephone: Spring Held Hostage tells the oft-told tale of Persephone and how she was abducted by Hades. In the meanwhile, her mother Demeter pines away until a compromise is made, and voila, the concept of the seasons is born. This is a good retelling, with a little more personality injected than usual. I thought it was a brisk, interesting narrative. 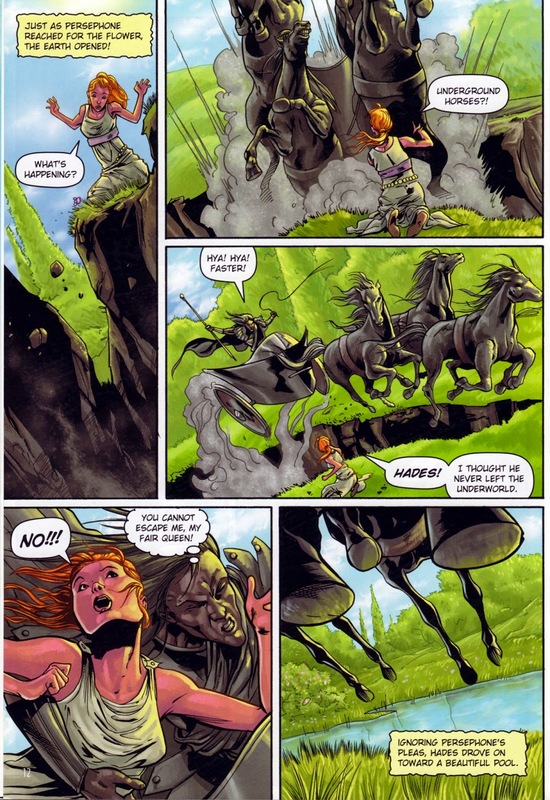 Also, the story acts as a great tour of the Greek mythological underworld, as one of the ways Persephone tries to stall is to ask Hades to show her around the realm. She sees all the various territories, including Tartarus and the Elysian Fields, and meets diverse characters like Cerberus and the Furies (or Kindly Ones, if you prefer). In particular, I liked the characterizations and also the feminist flourishes added to this traditionally sexist story. As in George O'Connor's similarly focused Hades: Lord of the Dead, Persephone is given more of a role in the story, with her thought processes made visible about how she ended up marrying the King of the Underworld. The art here is by Steve Kurth, a veteran artist known for his work on various Iron Man and GI Joe comic book series. Gordon Purcell's art is sort of 1990s Image Comics-flavored, in its way faces and clothing are rendered, but without so many excesses, like excessive cross-hatching. I liked his dynamic layouts and action scenes especially. My opinion about these books follows much of what I have thought about other Graphic Universe offerings. In general, I have found these titles well-written and colorfully illustrated, and they seem great for upper elementary grades readers.